Top cosmetic dermatologists and surgeons are taking a judicious approach to injectibles such as Botox and Juvederm (a filler) and incorporating chemical peels and laser treatments such as IPL (intense pulsed light) and fraxel to help patients look naturally youthful rather than plastic. “In L.A. the objective tends to be to erase all expression,” confirms cosmetic surgeon Dr. Jean Carruthers, clinical professor in the Department of Ophthalmology at the University of British Columbia and one of the pioneers of Botox use in facial rejuvenation. A proponent of combining Botox treatments with fillers to lessen time’s boot-print on the face, Carruthers says facelift numbers are actually down from previous years. “We lose volume in certain areas as we age,” she points out. 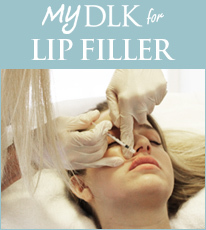 “Fillers were about filling in a line or wrinkle, but they’ve become more important when it comes to replacing volume. They give a softer effect than, say, cheek fillers, and work better with each patient’s unique features.” Fillers also mean no down time and relatively little discomfort. Dr. Diane Wong, owner of Glow Medi Spa in Toronto’s Yorkville area, says most women still don’t want anyone to know they’re having anything done. Glycolic-acid peels and IPL, Fraxel and ProFractional laser treatments smooth skin, reduce wrinkles, stimulate collagen production and even out the complexion, all of which contribute to a younger looking face without going over the top, says Dr. Lisa Kellett, owner of DLK on Avenue, also in Toronto’s Yorkville area. “Non-surgical skin tightening technology such as Thermage also continues to get better and better,” she adds.